Our successful math team allows like-minded students to compete in a fun environment. 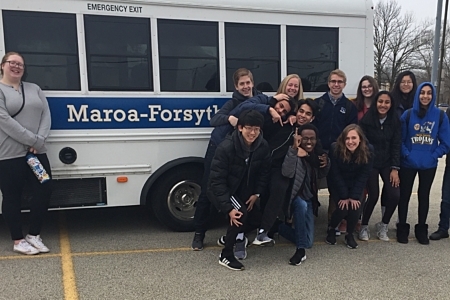 The math team competes in regional and state math competitions against other Illinois school. The state competition is held at the University of Illinois. Maroa-Forsyth proudly received fifth place in the state competition with a score of 427. Looking to get some practice in for the 2018-2019 season? Visit ilmathcontest.com for practice tests and additional resources.